This recent burst of energy was enough to stop me from going there just as I was about to. At this point in my life, reneging upon your word carries a lot more weight with me than showing me something really cool you did. I value both integrity and talent, but without the former the latter is lackluster. You know he was joking there, right? ...I sent a few prayers his way too. Tycow wrote: I'd be the token Brit. Josh! Where are you, man? The image you linked to didn't display -- can you give me relative directions from something large? Flat, if you'll give me just a moment, I'll upload a copy that will display. Had to resize from the original 10800x3600. My laptop does not like handling those dimensions. Flat, did you look at the Limit Theory booth? I hear that's where Josh is. While I was getting ready to post, I realized that if Flat could've seen the sign, he would've seen the sign. I've got the popcorn out here. Will Flat make it? Edit: it would be SO Limit Theory if Flat goes all the way there and doesn't see Josh. The Louisiana Tech Park displays are close to the Queue Hall. 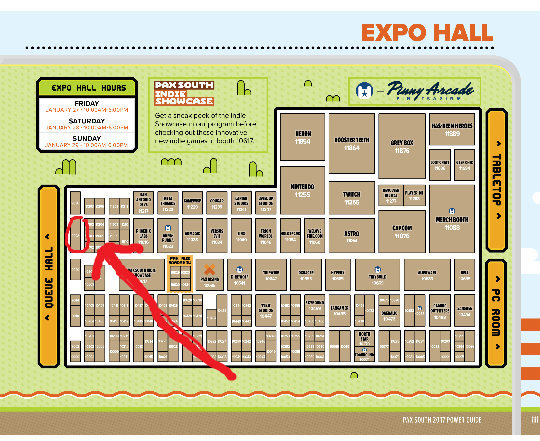 If the Queue Hall is west of the Expo Hall, then the LTP displays are at the north-west, right against the exit wall to the Queue Hall. Found Josh, great visit, driving home, report later. Flatfingers wrote: Found Josh, great visit, driving home, report later. Looking forward to hearing about it! Glad everything went well! F5 ! f5! F5 ! f5! F5 ! f5! F5 ! f5! F5 ! f5! F5 ! f5! FLAT WHY NO TELL ME YOU WERE THERE!!!! You must have dropped by after i did. Gonna be here all weekend though. Also if you posted that you were coming then thats my fault.